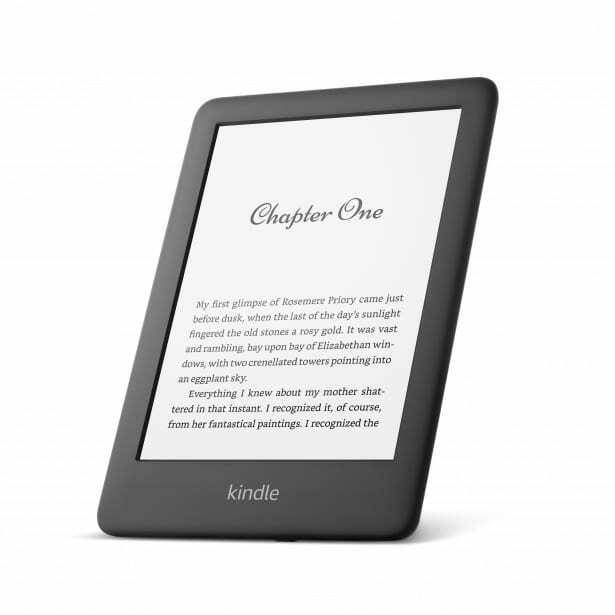 The full story behind the new Kindle: will this ebook reader light your fire? Amazon has launched a new Kindle ebook reader with a screen light to ease reading in the dark – the key feature that helped its Paperwhite series really take off. Importantly, the new Kindle starts at just £69.99 – significantly undercutting the price of the Paperwhite. Could it be Amazon’s most popular ebook reader yet? To be a success, it will have to make it into our pick of the very best ebook readers. The new model is functionally very similar to the standard Kindle, but now features a front light that shines across the screen when you want to read in the dark. This is the same technology as used by the Kindle Paperwhite, which was previously the cheapest Kindle (from £120) to offer this feature. The new Kindle starts from £70. It has four LEDs to light up the screen versus the Paperwhite’s five and the Kindle Oasis’ twelve. More LEDs should mean more even lighting, but while having any light at all will be a bonus for owners of an older Kindle looking for an upgrade, we hope it won’t be a sharp drop in quality over the Paperwhite. We’ll be sending it to our labs soon for a full workover. There are other slight differences. It’s 13g heavier than the older model, but 0.4mm slimmer, so it should feel largely the same in the hand. The size and number of pixels on the display remains the same, although Amazon says it has upgraded the screen’s contrast to make it easier to read in all lighting conditions. The Kindle retains its ability to play Audible audiobooks via Bluetooth headphones or speakers and comes with 4GB of storage as standard, which most people should find to be more than enough. As before, there’s no 4G connectivity, unlike its more expensive stablemates. The new Kindle is available for £69.99 with advertising displayed while the device is locked, or £79.99 without adverts. It’s available for pre-order now and will launch on 10 April. Amazon hasn’t yet said whether it will continue to sell the cheaper Kindle without lights. We have contacted the firm for clarification. We run every ebook reader on the UK market through a gauntlet of tough tests to ensure they’re up to snuff. All models go through a scratch and impact test to see if they will last years of wear and tear, and those that come with waterproofing claims are given a warm bath of soapy water. We also check for problems with glare and hard-to-press buttons, as well as evaluating how hard it is to navigate around your book library and buy new titles. We will test the new Kindle when it’s launched in April. Kobo vs Kindle: Which ebook reader brand should you choose?